The panes of the glass house have long been shattered, leaving different kinds of pains in their place. Computing is no longer done in a single location. Users, applications, and data exist in more places than ever before, creating an unprecedented challenge for IT. 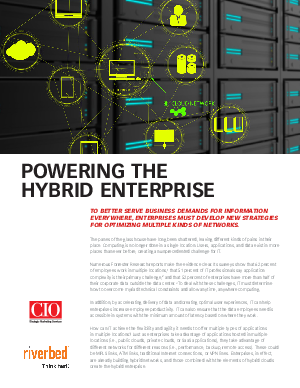 Read this white paper to learn more about accelerating delivery of data, increasing employee productivity, and creating optimal user experiences by powering the hybrid enterprise.